Beautiful Two acre Lot. 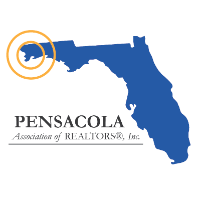 Want to be close to Pensacola but not in a subdivision. This lot is for you. Great High and Dry Lot with HUGE old growth oak trees that will be so beautiful surrounding your new custom built home. Conveniently located close to the equestrian center and other local amenities. This lot is ready to be built on. Call today for more information or to walk this Beautiful Lot!! I am interested in 7590 Mobile Hwy, Pensacola, FL 32526 (Listing ID # 545088).